Our favourite online casino sites, which are all fully licensed, regulated and reputable offer a host of fantastic loyalty and VIP programs, allowing players to earn huge bonuses from promotions, winnings, and high-stakes gaming. Blackjack high rollers in particular are in luck, with a number of fantastic live casino games offering large max bets and generous loyalty rewards with every deposit and game played. 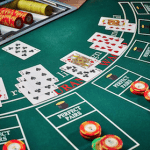 Let’s take a look over the most lucrative loyalty rewards points systems at our recommended online casino sites, and how blackjack players can get the most out of these programs to win big. All of the best online casino sites offer loyalty programs, in which players earn points (or status credits) to work their way up the loyalty ladder. Most programs have 4-5 different loyalty tiers, with the Platinum/VIP tier offering the best promotions and rewards for returning and high-stakes players. To join a rewards program all you need to do is register at your favourite casino site, receive your Welcome Bonus, make a deposit (it varies from casino to casino) and start earning points. G’Day does have a Welcome Bonus of 100% of your first deposit up to $500, however this doesn’t apply to table games, and as such blackjack players can’t earn this. Thankfully, the sheer number of blackjack games on offer make up for this, with 21 different versions from the best software providers including NetEnt and BetSoft. There’s also an entire section dedicated to live dealer blackjack, with a number of high-stakes games on offer with large waging maximums. BGO Casino: BGO has a “stars” program, in which you earn 1 star for every $100 you wager on blackjack. You move up the “Hotel BGO” Loyalty levels, from the Lobby (first level) to the Penthouse (highest tier). Each tier offers an Anniversary and Birthday Bonus, as well as Free Spins, while the Penthouse VIP offers the most rewards, with VIP Events, vacations and personalised service, on top of cash withdrawals and purchases, not to mention other bonuses. This browser-based casino is great for low and high stakes blackjack players, with 21 games on offer from Playtech. This makes BGO a really unique website and our favourite that hosts Playtech table games like blackjack. There are three tiers — Silver, Gold and Platinum — in order offering more fantastic bonuses the more you play. The All Slots VIP program also allows players to redeem loyalty points for cash, which is great for high-stakes blackjack players. There are more than 40 different styles of blackjack games to choose from at All Slots, which makes it an especially lucrative spot for blackjack players. 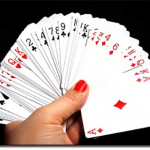 Check out the Gold Series of online blackjack games. Royal Vegas: Rewards program offers good value for blackjack players. You’ll earn 1 loyalty point for every $5 you wager on table games, with every 1,000 points redeemable for $1 cash. Factor in the sign-up bonus of 2,500 free points and you’re off to a good start! Royal Vegas also rewards high stakes players with special bonuses. Gold level (10,000 loyalty points) receives a 20,000 point bonus for logging in on their birthday, and also earns points 5% faster on the day. Platinum (at least 25,000 loyalty points) will get a 60,000 point bonus and 10% boost. The highest level of Diamond (75,000 points) gets a 100,000 birthday bonus and 15% boost. This is a safe casino that offers a host of great blackjack games from Microgaming, one of the leading table games provider for online casinos.